4 Bedroom Semi Detached House For Sale in Tonbridge for Offers in the region of £475,000. Freeman Forman are delighted to present to the market this well presented and extended four/five bedroom semi detached house, situated in South Tonbridge, a short distance from the mainline station. The side entrance door opens into a large porch/garden room with French doors leading to the south facing rear garden. A further door opens into a large kitchen/dining room and a utility room. The ground floor also benefits from a family lounge with patio door and wood burning stove, a cloakroom and a generous study/guest bedroom. On the first floor is a modern family bathroom, master bedroom with en-suite shower room and three further bedrooms. 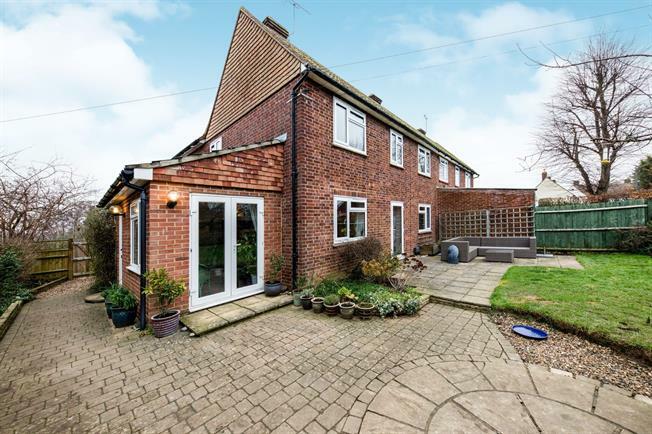 Outside, to the front is a low maintenance garden, and at the rear is a good size mature garden with patio area, various trees and hard standing with potential for off road parking.